The mysterious deep sea and its inhabitants have been studied for less than 150 years. This vast area, comprising about 80% of the total living space on Earth, is steadily revealing it secrets, thanks to increasing scientific interest and improving technology. New animals, new insights into the biology of deep-sea denizens, astonishing habitats, and mineral and hydrocarbon resources, have been reported over the past 30 years. We now have a better understanding of the role of the deep sea in the general economy of our planet. This surge in exploration has been accompanied by a surge in exploitation. New fisheries have been developed, and some species have been fished almost to the vanishing point. Deep-sea minerals and hydrocarbons are being assessed with a view to mining in the near future. Today, the deep ocean’s resources are of great importance to us. This lecture will discuss the future of these resources. DAVID PAWSON is a Senior Scientist at the National Museum of Natural History, Smithsonian Institution. He came to the Smithsonian Institution in 1964 as the curator of the echinoderms (sea stars, sea urchins and their allies) collection. He has served as a Department Chair, Associate Director for Science, and Acting Director of the National Museum of Natural History. He conducts research on echinoderms from many parts of the world, especially the deep sea and the vicinity of isolated oceanic islands. His research has taken him to Ascension and Galapagos Islands, the Caribbean, the southern ocean and Antarctica, and he has made more than 100 dives in manned submersibles. He has published more than 200 articles and book chapters on echinoderms, hemichordates, and other marine groups. Other research interests include the US Fish Commission Steamer Albatross (1883-1921) and her scientific crew, and the life and times of his predecessor, Smithsonian echinoderm scientist Austin H. Clark (1880-1954). He has been the President of the Biological Society of Washington and of the American Society for Biological Nomenclature. 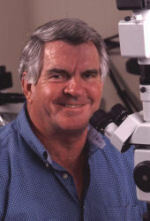 He is a recipient of the Polar Medal, and has been a Smithsonian Regents’ Fellow. An active interest in teaching, and in bringing science to the general public, has led to the presentation of about 200 public lectures over the years. He is on the adjunct faculty of American University, The Johns Hopkins University, and Harvard University. He received his B.Sc., M.Sc. and Ph.D. in Zoology from Victoria University of Wellington, New Zealand. President Larry Millstein called the 2,250th meeting to order at 8:15 pm January 23, 2009 in the Powell Auditorium of the Cosmos Club. The minutes of the 2,249th meeting were read and approved. Ocean covers more than 75% of surface of planet and includes more than 95% of the planet’s living space, Mr. Pawson said. It holds more than 1 million species; some estimates are up to 100 million species, and its diversity exceeds that of all of the rain forests. The organisms in the mud may exceed the mass of all other organisms on earth. The deep sea is where sunlight does not penetrate. Light reaches to 600 - 700 feet on average, and to 1000 feet or more in the tropics. Humans can read a newspaper in the light at that depth. It’s always cold on the sea floor, about 30 – 38°F, and the temperature never changes, almost. In the Bay of Biscay off France, temperatures have been taken for 100 years and the temperature stayed within about .01F all that time. Pressures go up to 3.5 tons a square inch. Animals cope by having a lot of water in their bodies; they essentially become one with the water. The average depth is 12,566 feet; the greatest depth is 36,000 feet. Below 6,500 feet is called the abyssal depth. Food rains down from above. It is mostly tiny particles, occasionally a fish or a small marine mammal, once in a great while, a bonanzo in the form of a large animal like a blue whale. That provides a great feast for a long time. Aristotle and Pliny wrote about the animals from the depths, such as a fish with lights on the side. Somehow, they knew these animals came from the deep. Modern exploration of the deep sea began in the 1800's. An Englishman, Edward Forbes, is regarded as the founder of deep sea biology. He used a British naval vessel to take samples from the depths in the Mediterranean. He found nothing below about 1800 feet, and he concluded it was a dead zone below. In Victorian England, there was great interest in ocean study. Philip Henry Gosse fueled this interest with a book about life about sea animals. Aquaria were popular in homes; Gosse was the one who invented the word. The U.S. Fish Commission commissioned a steamer called the Albatross to plumb the depths. This coal burner plied the Atlantic and Pacific from 1883 until 1981. Henry Bigelow, Paul Bartsch, and Waldo Schmitt were all on the Albatross. Mr. Pawson met these gentlemen when he was young. A man named Austin Clark was on the 1906 cruise of Albatross to Japan. Mr. Clark often came to Cosmos Club. He played bridge here and met friends, including Justice Oliver Wendell Holmes. Receipts from the Club among his papers indicate that brandy then cost a nickel. Clark experienced the 1906 San Francisco earthquake. There was a statue of Louis Agassiz at Stanford University. It was upended by the earthquake, the head of the statue driven into the sidewalk. The president of Stanford noted that he had often contemplated Agassiz in the abstract, now he could contemplate him in the concrete. Forty per cent of the fishes and 40% of invertebrates in the Smithsonian collection came from Albatross. The first ocean exploring ship, HMS Challenger, towed a net to get specimens. For 100 years, that was how they sampled. Deep sea animals are pretty watery and are often badly mangled by the net. Trying to study the deep sea that way is like flying high in a balloon and hauling up a few artifacts. You could get the impression the earth was made up of yellow cabs. The next phase was a camera on a string. There was a weight on the string; when it hit the bottom, a flash fired and a picture was taken. This was a slow process too, but Mr. Pawson claimed he had looked at a million of these pictures. He showed pictures of a sea cucumber, ingesting mud, as usual. He usually saw these creatures in midsummer and he observed them with one end raised. He decided they were spawning, shooting out eggs and sperm, and that they must have an internal clock that tells them when to do it, since there are no seasons in the deep sea. After he published this, he got a call from a graduate student at a lab where they had kept a number of them alive for some time. The student told him these animals raise one end up about 20 times a day for no apparent reason. The third stage, getting down there with the creatures, was pioneered by William Beebe, who built the Bathyscaph. This was a pressure-controlled machine on a cable that had arms for collecting live animals. It was used to bring about 200 species back to the laboratory. Among them were brittle stars, which swim very rapidly. They feed that way. Sea cucumbers are very important ecologically in the deep sea. Some of them swim. One variety swims down to the floor, fills its tentacles with mud, swims up aout a 1000 feet, empties its intestines, then swims down again. Why they do this, no one knows. One creature, a tripod fish, always faces the prevailing current. He showed a picture of the remains of a humpback whale. When large animals land down there, they provide a great amount of food for many animals for a great number of years. Just two months before Mr. Pawson’s talk, the hottest water on earth was found near the Atlantic Ridge. At 300 atmospheres of pressure, water was found in a new “supercritical” state, between gas and liquid, at a temperature above 406C. Unique life forms, invertebrate and bacterial symbionts, are found near the thermal vents. Recently some bacteria have been found living at 169C. Now manned submersibles are becoming passe. Robotic ones are being used, and they are bringing back high definition images. He discussed the turtle grass beds in Florida and the Gulf. These grasses grow, break off, float out, and sink to the sea floor. Lots of animals eat it, it’s an important source of food. These turtle grass beds are disappearing, more than 85% gone. The water is too fertile for them. One variety of sea urchin eats nothing but turtle grass. So even shallow water conditions can have an effect on deep sea life. There is increased deep sea fishing, also. Orange roughy fish form giant swarms near sea mounts and are easy to catch. Their population is 1/6 what it was when fishing started. They don’t breed until they are about 60 years old, so many of them now don’t make it to breeding age. The orange roughy name was coined when they were commercialized. Before that, they were called slimeheads. Chilean sea bass, harvested at 20 – 440 lbs and up to 7.5 feet, are also a nice catch. They are also being reduced in numbers. The U.S. recently imposed fishing limits. Manganese mining is being explored. There are nodules on the sea bottom and manganese crusts on the seamounts. It has been done, but is not economically competitive. A small increase in price would change that. There is a plan to mine copper near Papua New Guinea. There are methane ice derms which are very common in the western Pacific. Mining them is being considered. There are methane ice worms that burrow into the crystal methane and live there. Deep sea dumping of radioactive waste has been considered. This was seriously considered before we even knew there were enormous quantities of microbes in the sea bottom. In the question period, someone asked, in effect, what should we do about all these questions and decisions? Learn what’s there, Mr. Pawson responded. Increase exploration. Fortunately, exploration is no longer a forbidden term in grant requests, particularly in regard to the deep sea. We should learn more about the complex ecological webs and food chains. We should collect data on stocks of fishes so future fisheries can be based on good scientific information. Increase funding for deep-sea research. He pointed out that NASA’s one-year budget would fund NOAA for hundreds of years. Asked what the likelihood of methane “blowouts” might be and the possible results if they occur as a result of warming surface temperatures, he said he did not know. Asked how you capture alive a deep sea animal, he said the pressure change is not important; the temperature change is. So they drop them into an insulated box, haul them up, and rush them to a cold room. It works pretty well; they have kept some alive as long as 12 years. One questioner brought up the question of evolution and the idea that perhaps life originated at the geothermal vents. Eugenie Mielczarek pointed out that some of these animals have a primitive form of hemoglobin, a remarkable coincidence, if a coincidence. Some of them also have proteal rhodopsin. After the talk, Mr. Millstein presented a plaque commemorating the occasion. He announced the 2,250th meeting and made the usual raft of announcements. Finally, at 9:38 pm, he adjourned the 2,249th meeting to the social hour.